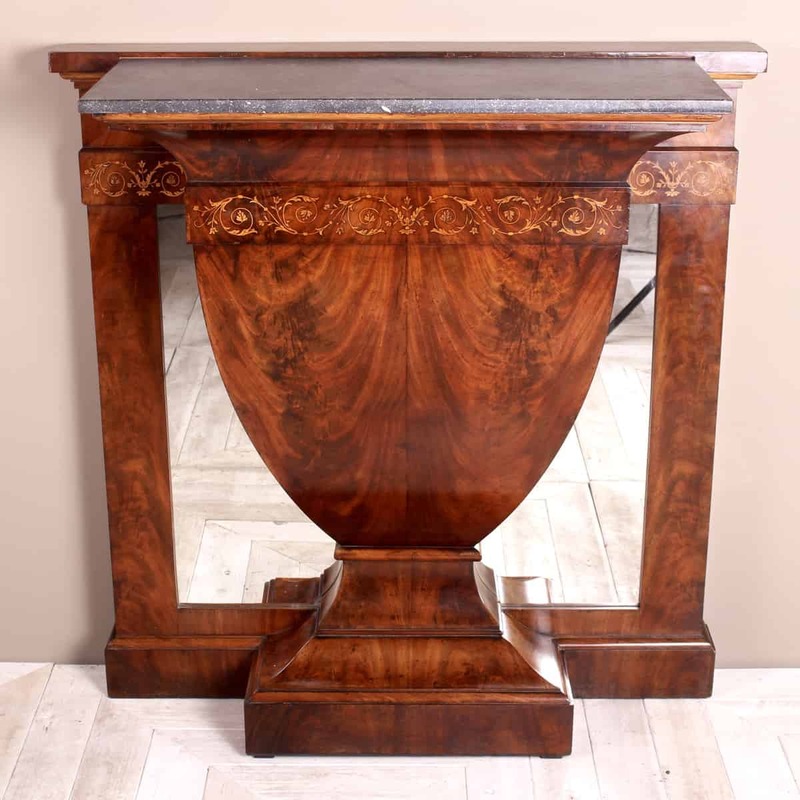 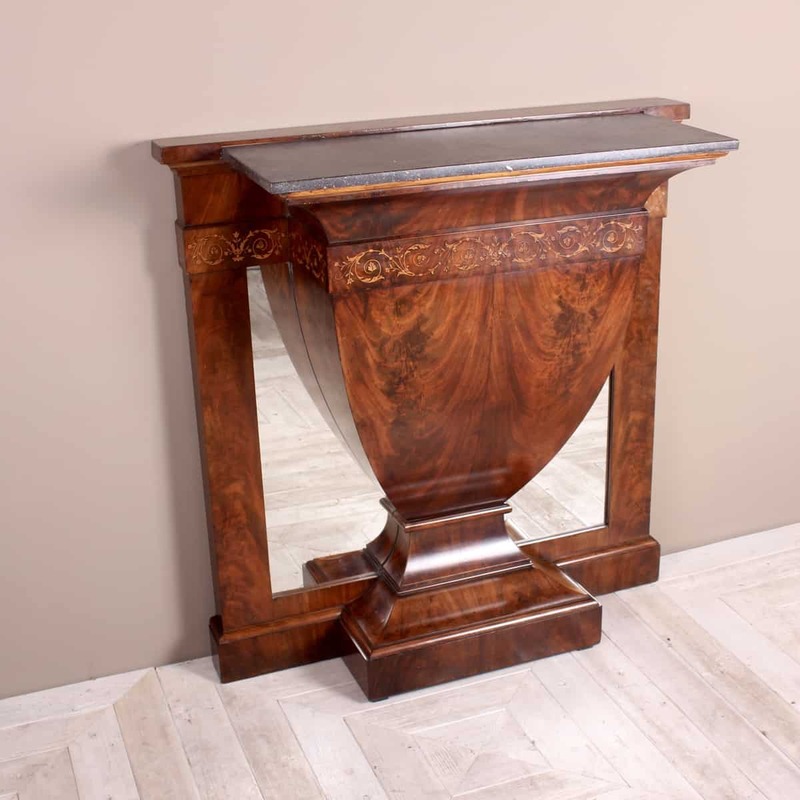 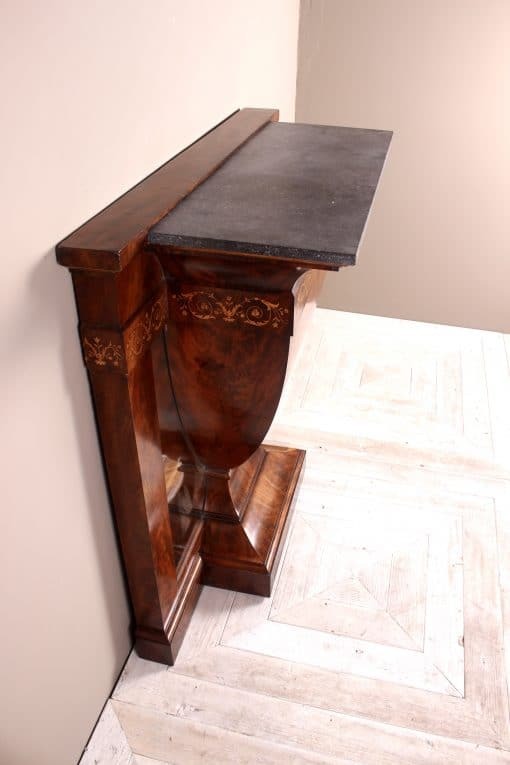 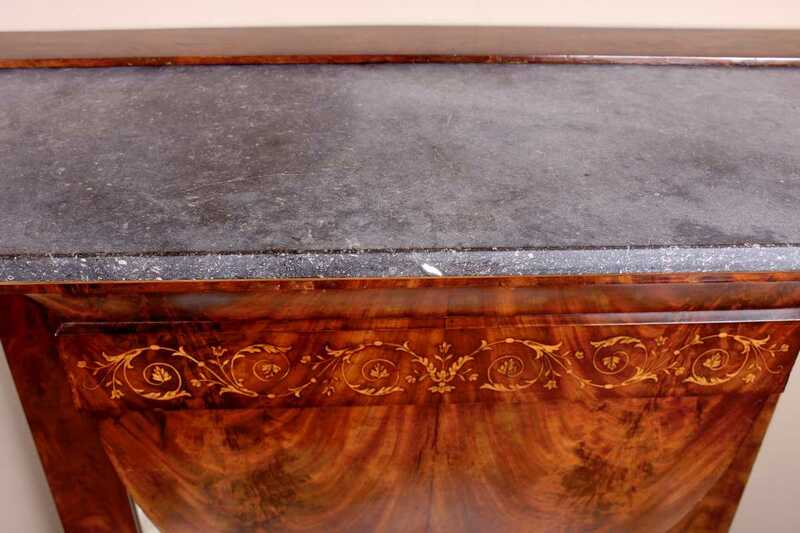 A lovely Inlaid Mahogany Console Table with grey marble its top. 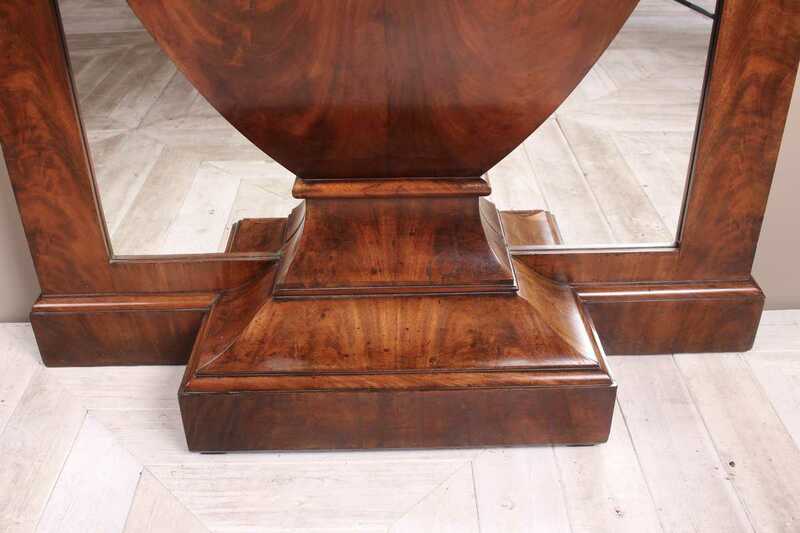 Having the most wonderful urn-shaped center section. 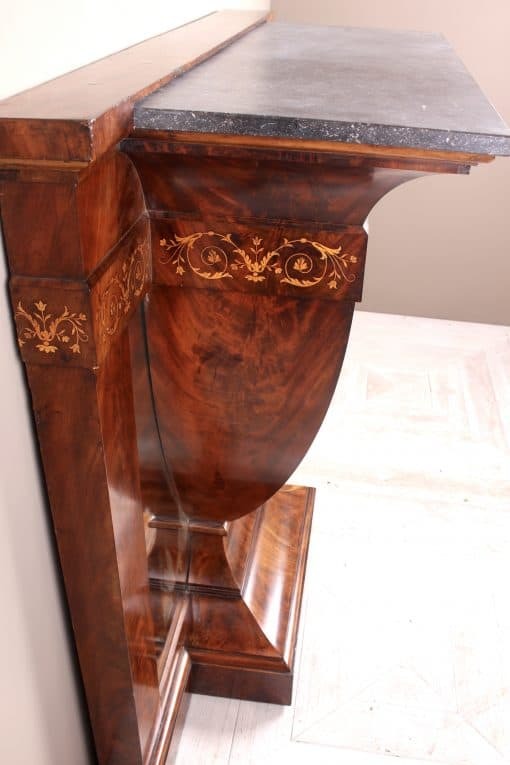 Beautifully inlaid with scrolling floral decoration to the upper frieze. 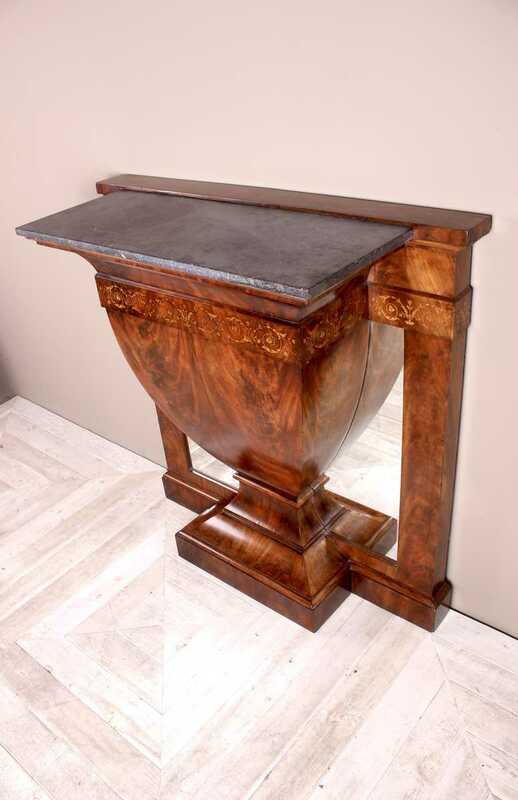 The grey marble slab sits above the central urn-shaped section which in turn is encompassed by a framed mirror back panel. 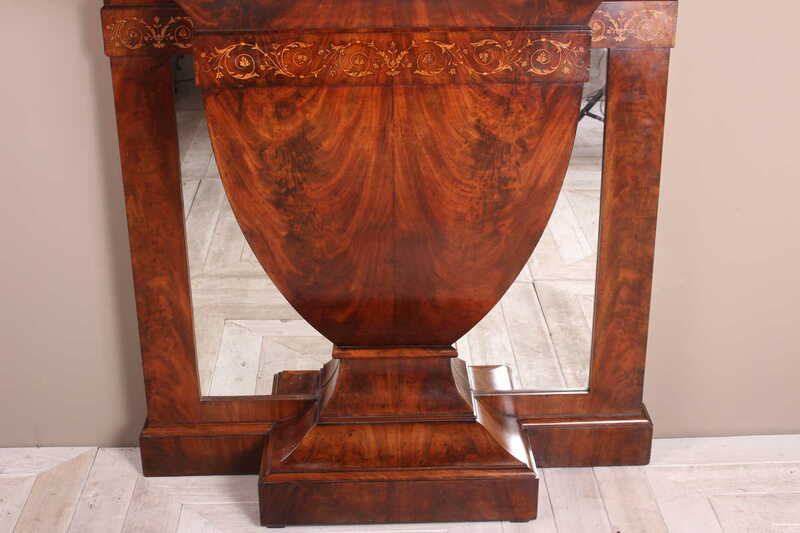 The whole constructed with finely figured veneers and a having the most wonderful colour. 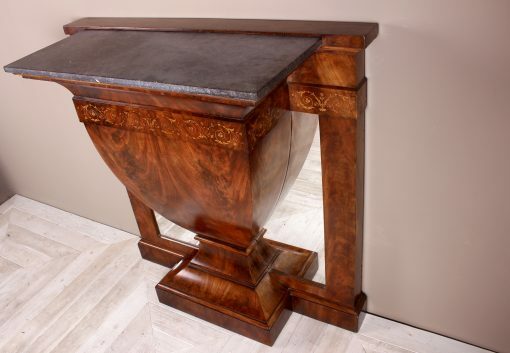 Would suit a modern or period interior. 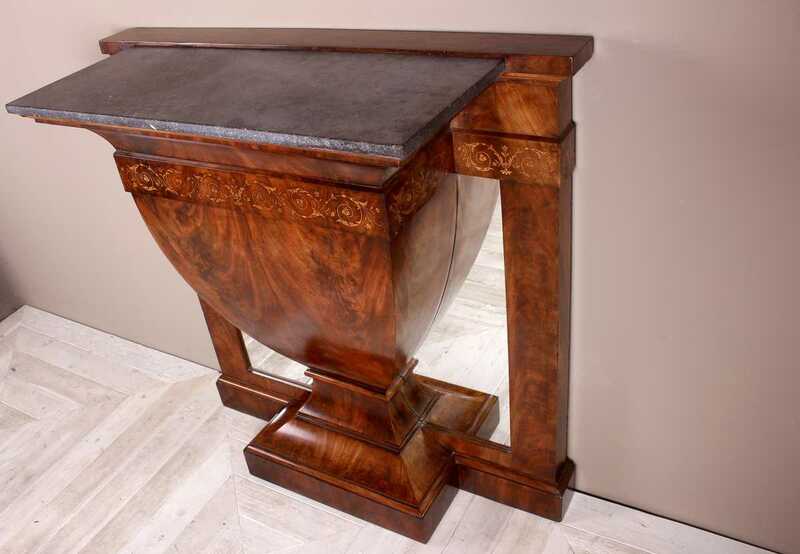 Dimensions: 40.75″ wide x 42″ high x 17″ deep.